A copy of the terms and conditions of or The Tool Connection (Div. of Primrose USA, Inc.) has been made available to customer via the internet. By ordering from our web site, or by phone or catalog, and making payment for product, buyer is confirming that they have read, and agree to these terms and conditions. Discounts are available on a case by case basis for purchases of multiple products. Prices, features or specifications are subject to change without notice. Any sale or special offer can be altered or discontinued at any time without notice. Connecticut residents will be charged 6.35% Sales Tax on all Equipment. California residents will be charged 8.5% Sales Tax on all Bend-Pak/Ranger, Buffalo and Dannmar Equipment. Atlas Equipment will be subject to Sales Tax in the States of Indiana, Georgia, Texas, Arizona, Florida and Connecticut. Dannmar Equipment will be subject to Sales Tax in the States of California, Washington and Connecticut. It is customer's responsibility to pay any sales taxes not addressed above directly to their local agencies where does not collect taxes already. Online orders: sales tax and/or shipping charges (if applicable) may be assessed after your order has been completed. Any specials or sales prices cannot be combined with other offers. Minimum purchase of $25 is required. Net 30 orders that are paid late will be assessed a 1% late fee per month. manufacturer will send them out at their own cost at standard ground shipping rate. If customer needs parts more quickly, it will be customer's responsibility to pay for expedited shipping charges. It is the customer's responsibility to inspect shipment at time of delivery and refuse shipment if damaged. You have the right to inspect package regardless of what the truck driver says. If item appears to not be damaged, but looks as if there is a possibility of damage, customer should make a note of it on the acceptance slip when signing for shipment. If an item has been damaged during shipment and customer has already accepted / received shipment, it is customer's responsibility to file a claim with the shipping company. Customer must notify freight carrier and within 72 hours of any hidden freight damage. Customer must open all packages within 72 hours of receiving and inventory equipment to verify product was received complete and notify us within 72 hours if there are any problems or missing parts. Warranty is offered by most Factories and we would be happy to contact manufacturer on customer's behalf to help resolve any issues with manufacturer and to mediate to aid in expediting warranty service. 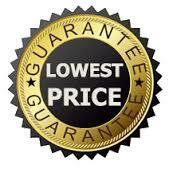 If warranty parts are needed, manufacturer will send them out at their own cost at standard ground shipping rate. Our guarantee is very generous. If within 30 days of purchase you decide you don't like the product, you can return it to us (except car diagnostic tools)and we'll pay you your full purchase price back, minus shipping & handling. Customer is responsible for both forward and return shipping costs as well. Special order or modified orders are non-refundable. Customers wishing to return products will be charged shipping cost to their location even where free shipping is offered. In some cases, (mostly larger items), a restocking fee up to 20% may be charged depending on various factors such as the condition of returned equipment. All returns must first be given an authorization number. No returns will be accepted without an authorization number. Credits will be issued only after we have received product back from customer and inspected it. We incur many costs when processing and shipping orders. Customers will be charged for shipping costs for any orders that are canceled after item has already shipped, but not yet received by customer. They may also be responsible for a restocking fee. 2) Have original manufacturer's paperwork including owner's manual. 4) There must be no missing parts from product. If parts are missing, customer must contact manufacturer. Car diagnostic tools are not returnable, manuafacturers will not accept returns. It's this simple - if you find a lower total retail price, (on the exact same BendPak or Ranger product), advertized anywhere on the web (by an authorized dealer for the product in question), let us know where you found it, and we'll beat it. If you have already purchased a product, and then find it for a lower price elsewhere within 15 days, we will refund you the difference. Must not be used or refurbished product. Price must include any additional charges (such as shipping & handling) the competitor may be charging to arrive at the final price. makes no guarantee that ordered items will arrive by a certain time or date. Any quote regarding delivery date or time frame is merely an estimate. If you absolutely must have product within a certain time frame, you must notify at time of order. Most items can be expected anywhere between 4-14 days, but could take up to 21 days, depending on various factors. is not responsible for any additional fees customer may incur for rental of equipment for purposes of unloading or other purposes related to receiving product. is not responsible if freight company provides customer with a delivery date, and unforeseen circumstances delay shipment further. Once again, any delivery date, provided either by or the freight carrier is merely an estimate, not a guarantee of a delivery date. Any number of various shippers may be used to deliver product to destination, depending on the item being shipped, quantity, time and destination. Some larger items will need a loading dock or some other special means to remove item from delivery vehicle. Customers are responsible to provide for these means. Again, customer is responsible for unloading heavy truck freight shipments from delivery truck, unless other arrangements have been made (ie: liftgate delivery).Additional charges will apply for a liftgate delivery. Some items are too large for a liftgate. Customer is also responsible for installation of products, unless otherwise agreed to. Customer must follow manufacturer's installation specifications and instructions for installation and operation exactly or warranty and return capability may be eliminated. If freight company attempts delivery and nobody is present to receive shipment, causing a subsequent re-delivery attempt, customer will be responsible for paying a re-delivery fee. Additional charges would also be required if customer needs to re-direct shipment to a different delivery address after order has already shipped. Customer may also be responsible for storage fees if freight carrier has to hold product due to customer being unable to receive product for periods of two days or more. The Tool Connection has now established a free shipping format. Free Shipping to Continental USA only !Additional freight charges will apply for all shipments destined for Alaska, Hawaii, US Virgin Islands and Puerto Rico. We don't ship to Canada, but we will ship to the Canada Border. Shipping with UPS and FEDEX will be always free for orders of $300 and up. and/or could be picked up at your local freight terminal. Truck Deliveries to rural area's are subject to a RATZ fee. Please do a RATZ check to find out of your address is a direct shipping point. Contact us to find out the RATZ charges. Customer's information, including name, mail, phone, email and any other confidential information will not be shared with any other entity, other than for purposes of shipping requested product to customer or to conduct business correspondence as needed. No exceptions will apply. Customers that send us personal information via email or our web form can be sure in strict confidentiality. No outside source will ever view your personal information. You will not receive calls from us trying to pitch our products either. Customers completing automatic online orders via our shopping cart system can be assured that our credit card processing company uses the latest encryption and ssl technology to ensure that your data is safe. At no time will your data be shared or viewed by outside sources. Any questions or issues regarding your personal and credit card data should be directed toward credit card processing company. Customers failing to make timely payment will be responsible for a 1% finance charge per month in addition to any attorney or collection fees, court costs or any other costs incurred by when pursuing customer's payment. failure of essential purpose of any limited remedy. Because some jurisdictions don't allow limitations on how long an implied warranty lasts, or the exclusion or limitation of liability for consequential or incidental damages, the above limitations may not apply to you. products. All discrepancies between customer and manufacturer regarding claims manufacturer makes about products or warranty should be directed toward manufacturer. All claims regarding features, specifications and abilities of products are made by manufacturer of product, not The Tool Connection. From time to time there may be misprints or typographical errors on any of our web pages. While we try to assure all our prices and product descriptions are correct and accurate, we are human, and errors will occur. Most often, these discrepancies are from the manufacturer's own errors. When they do occur, we will correct them as soon as it is brought to our attention. Manufacturers frequently alter product specifications, design and features without notice to us, therefore, we reserve the right to amend the design or technical specifications and product features of any product without notice. not responsible for damages due to improper installation, operation, negligence, or faulty equipment. All claims should be directed toward manufacturer. tasks, or their safety. All claims regarding the quality, ability and use of products are made by manufacturer of said product. the State of Connecticut. By purchasing a product from us, you are agreeing to these terms and conditions. reserves the right to decline any order at any time for any reason. and other third parties. The Tool Connection is not responsible for the availability of, or the content located on or through, any external site. You should contact the site administrator or webmaster for said external site with any concerns about those sites.